Nexium is a medication with both over-the-counter (OTC) and prescription strength formulations that is used to control the symptoms of heartburn. This popular medication has been linked to an increased risk of chronic kidney disease, nephritis (kidney inflammation), acute kidney injury or failure, and other dangerous side effects. This type of medication is known as a proton pump inhibitor (PPI) and helps reduce excess acid in the stomach. Recent research has linked these medications to serious, often life-threatening, injuries. Many patients who have developed adverse side effects after taking this drug have already come forward to file a claim against AstraZeneca, the manufacturer of Nexium, after suffering complications. Injured parties may be entitled to compensation through a Nexium lawsuit to help cover lost wages, medical expenses, and pain and suffering. The personal injury lawyers at Parilman & Associates are currently reviewing cases on behalf of those who have been injured after taking this dangerous drug. Do not hesitate to contact us today for a free, no obligation review of your claim. 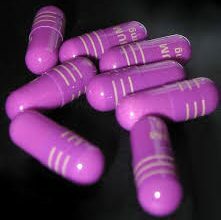 Nexium is used to decrease the amount of acid produced in the stomach in order to treat conditions such as acid reflux disease and gastroesophageal reflux disease (GERD). In 2010, the FDA issued a consumer warning that patients taking Nexium in high doses for more than a year may be at risk for developing bone fractures in the wrist, spine or hips. Those over the age of 50 are at the greatest risk. Bone fractures are likely to occur because reduced stomach acid inhibits the body’s ability to absorb calcium, which can lead to weakened bones. In 2006, a study published in the medical journal JAMA revealed an increased risk for hip fractures in Nexium patients 50-years-old and older who had taken the drug for a year or more. In 2011, the FDA issued a drug safety alert regarding the link between Nexium andlow levels of magnesium. A June 2015 study revealed that PPI medications may increase the risk of heart attack in Nexium patients with no history of heart disease by 16 to 21 percent. Countless victims of this dangerous drug have filed lawsuits against AstraZeneca and other manufacturers of PPIs seeking damages for their suffering. If you have experienced any of these dangerous effects after taking this drug, you too may be entitled to file a Nexium lawsuit. At Parilman & Associates, we feel that no one should have to suffer through dangerous side effects because of the negligence of the drug’s manufacturer. Patients who have experienced adverse side effects such as chronic kidney disease, kidney failure, bone fractures or others should seek counsel to review their legal options. The experienced drug lawyers at Parilman & Associates will review the details of your claim to determine if you qualify for representation. If you are, we will guide you seamlessly through the entire process in order to help you recover the maximum amount of compensation you deserve. Learn more about your options for filing a Nexium lawsuit by contacting Parilman & Associates today for a free, no obligation consultation. We work on a contingency fee basis and do not get paid unless you win.